Striped Shirt, Lace Skirt, Boots: Thrifted. P.S. Sky Fought that you for this post title. You're the best. Aw I hope you feel better soon! You look so super cute here. I just love this outfit so much. 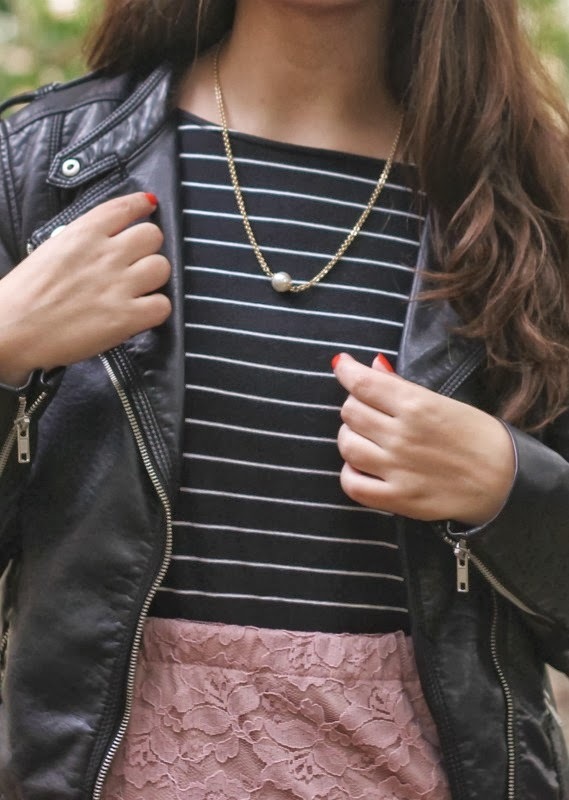 The mix of edgy and girly is perfect. That lace skirt looks wonderful with your leather jacket. Love your outfit! That jacket is perfection! I have that exact skirt! I got it at a thrift store a while back but I rarely wear it. I like the outfit you used with it. Maybe I'll try something like that. Something to think about... love the leather and lace combo! GORGEOUS! Love this look! 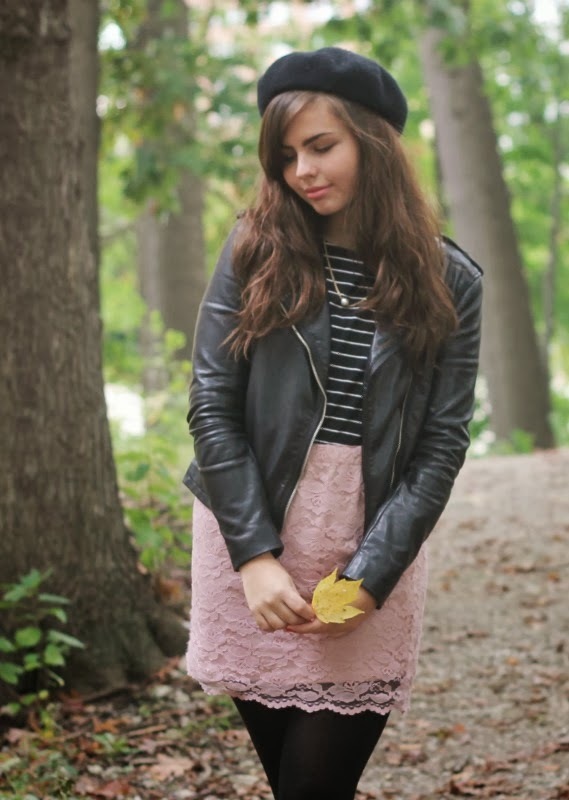 That lace skirt is amazing and I love how your styled it with the leather details! Hope you feel better soon! 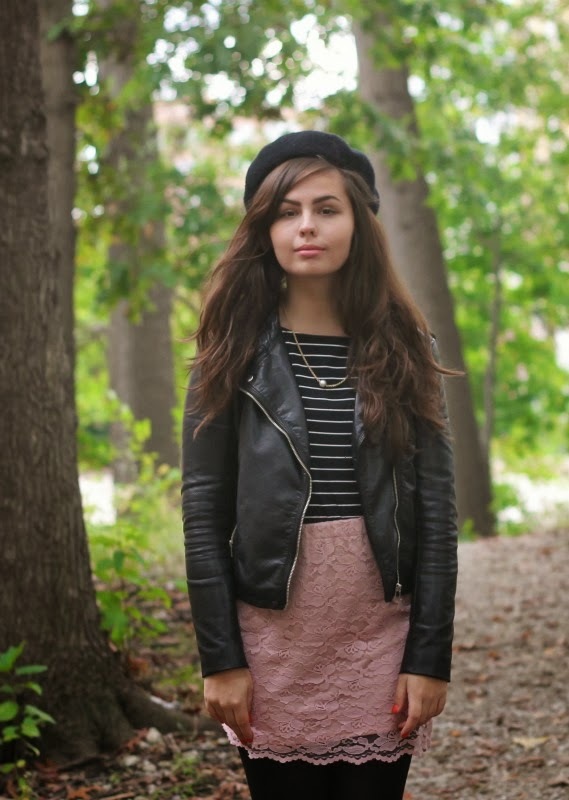 Your outfit is cute, very french rocker chic! Loving this pretty lace skirt!